People make out tennis to be a very complicated sport. If you think about it, it’s not at all complicated, but rather a simple game. Of course there are many elements pertaining to the sport such as: power, directions, the serve, the return, the groundstrokes, volleys, touch, footwork, mentality, defense, and offense. However, at the end of the day, the person who gets the ball back one more time than his opponent is the winner. All of these elements listed are just products that aid you in accomplishing this objective. The ones who understand this the most are probably defensive players. Their main strategy is to return as many balls back as possible while playing a very safe and consistent game. With incredible fitness, these guys are menacing. 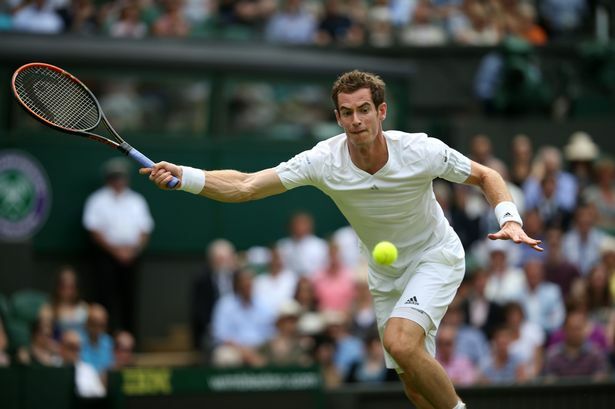 Andy Murray is a prime example of a defensive player with prodigious fitness. When you watch this guy, notice his tactics against most players; he plays a rather safe game, simply just trying to out-rally his opponent most of the time. The reason why he does this is because he possesses a great deal of stamina – he knows that he can outlast about 95% of the people on tour. Furthermore, take a look at Federer, Nadal and Djokovic. These guys’ defense are also out of this world. 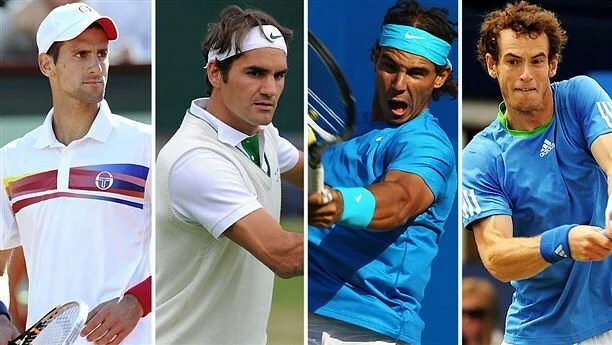 Of course the three are aggressive when they can be (especially Federer) but they grew up playing the game defensively. Look at where they are now; they reign at the top of the game because they developed this kind of foundation. They understand that at the end of the day, it is all about the person who gets one more ball back. Obviously every player knows this but do they actually truly execute it? No, they tend to lean their interests towards hitting winners or looking flashy which makes them prone to making unforced errors. These are the guys who have their good days/streaks and bad days/streaks. The guys who reign at the top are hanging up there because they are the ones who are consistently able to get one more ball back than their opponents can. Notice how aggressive Dimitrov chooses to play in the first set. In the beginning he appears to be slaughtering Murray, hitting volleys past him and pummeling winners left and right. However, Murray still comes out on top in the first set because he’s the one getting the ball back one more time than Dimitrov does. In the second set, Dimitrov’s aggressive game varied in success throughout. At the beginning of the set, his aggressive game went against him, producing too many errors that put him down a break. Though, later in the set, his aggressive game began to pay off as he was able to win the set in the tie-break. Then, it began to become clear in the third set that Murray was the more consistent player with better timely controlled aggression compared to Dimitrov, winning the set 6-4. The fourth set was devastating. Dimitrov’s aggression in the beginning was on a roll, taking him up a break 5-2. However, once again Dimitrov was not able to keep this level of play up as Murray breaks back and soon afterwards at 5-5, Dimitrov concedes the break to Murray with a heartbreaking double fault. Up 6-5, Murray ends this match with a 6/4 7/6 6/4 7/5 victory. Watching this match just shows that aggression is only a factor of the answer and that getting one more ball back than your opponent is the answer. If someone is able to get to every ball and return every shot, then that person would be virtually impossible to defeat. This entry was posted in Tennis Instruction/Tips and tagged andy murray, bay area tennis, consistent tennis, defensive tennis, how to play tennis, how to play tennis defense, modern tennis, novak djokovic, rafael nadal, roger federer, simple modern tennis, tennis blog, tennis strategy, tennis tactics, the simple truth of tennis, truth of tennis on April 13, 2015 by simplemoderntennis.